A new study finds that if you tell people that they have a genetic predisposition to certain health characteristics, their bodies start to respond accordingly — even if their DNA does not actually contain the gene variants in question. Just in time to befuddle people who received genetic-testing kits for the holidays, a new study finds that if you tell people that they have a genetic predisposition to certain health characteristics, such as a low capacity for exercise or a tendency to overeat, their bodies start to respond accordingly. Even if their DNA does not actually contain the gene variants in question. The study raises provocative questions about the extent to which our genes affect our physical well-being and whether, in some instances, our beliefs about our bodies, capabilities and limits might be even more influential. DNA testing is trendy at the moment. Over-the-counter and prescription testing services promise to tell us about our health inheritance, including whether we are prone to weight gain, will respond well to exercise, can metabolize various foods efficiently, and face heightened — or reduced — risks for a broad range of medical conditions. The accuracy of many of these claims, however, remains in doubt. Most scientists who study genetics consider the effects of many particular gene variants on health to be generally slight and still poorly understood. But even less is known about the psychological effects of learning that you might have a high or low genetic risk for health and fitness problems and how our subsequent attitudes might play out in our physiology. So, for the new study, which was published in December in Nature Human Behaviour, researchers at Stanford University set out to fool a large group of men and women about their genetics, at least temporarily. They started by advertising locally for participants interested in learning which diets or exercise programs best suited them, based on their genotypes. More than 200 healthy men and women responded and were accepted into the study. Each provided a saliva sample for genotyping, after which the experiment began, although its actual intent remained shrouded from the participants. The men and women were divided into two groups. One completed a treadmill test, during which participants ran for as long as possible while wearing a mask that measured their oxygen uptake and lung capacity and occasionally telling the researchers how they felt. The other group focused on diets and eating behavior. Its participants were given a 480-calorie liquid meal and told to finish it, then describe how full they felt, while researchers drew blood to test the levels of certain hormones that are known to be involved in making people feel satiated or not. Later, on a separate visit to the lab, the volunteers learned their supposed genetic test results. Some of those in the exercise group were told that they had a particular gene variant that makes people likely to have low endurance and find prolonged exercise difficult. This gene variant exists and is associated with a low response to endurance training. But most of the participants who were told that they carried this gene type in fact did not. Similarly, the researchers told some of the people in the diet group, incorrectly, that they carried a gene variant that could reduce how full they felt and nudge them to overeat, or that their variant of the gene should make them feel full quickly and reduce their risk for obesity. Afterward, the men and women repeated the treadmill or the meal session. The results of each session were telling. 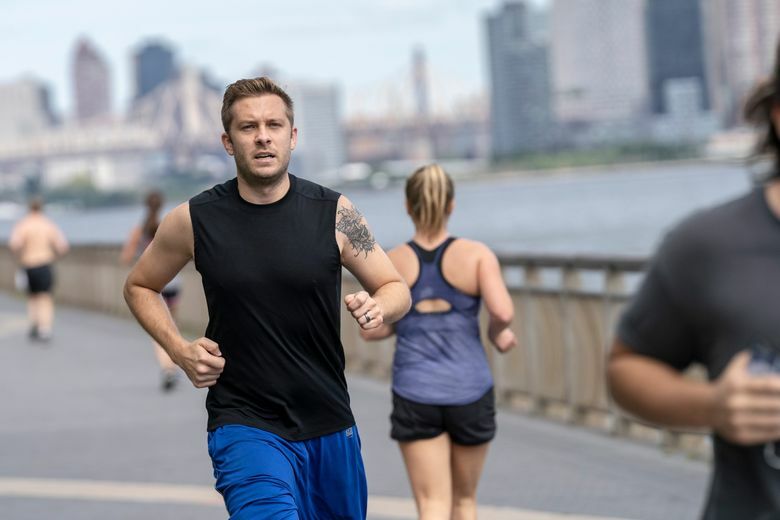 Those people in the exercise group who had been told — almost always inaccurately — that their genes made them unlikely to respond well to exercise tired more quickly now than they had before, and their oxygen uptake and lung capacity were significantly lower. In the diet group, those people who erroneously thought they had the protective variant of the appetite gene felt fuller after drinking the shake than before, and their bodies produced more of a hormone that increases satiety. In both cases, people’s psychological beliefs about their genetic risks had altered their physiological responses to the testing. Perhaps most interesting, the researchers then compared the physical effects of having a gene variant with believing, incorrectly, that you did. To do so, they tallied the mathematical extent to which, in the first round of testing — before people knew anything about their genetic risks — exercisers’ oxygen uptake and lung capacity were lower if they carried the worrisome gene variant, and their feelings of fullness and appetite hormones were greater if they had the desirable appetite-related variant. In both cases, the variant had the expected effect on people’s bodies, although the effect was small. In fact, it turned out that the physical effects on endurance and fullness were often more substantial among the volunteers who believed they had the gene variant and did not than among those who actually harbored it. These findings suggest that “people tend to attribute more power to genes than they probably should,” said Bradley Turnwald, a doctoral student at Stanford who conducted the study with the senior author, Alia Crum, and others. Our mindsets, or mental expectations about ourselves, seem to play an equal or even greater role than does our DNA in shaping some of our bodies’ reactions to diet and exercise, Turnwald said. But far more research is needed, he continues, to understand the interplay of genes, beliefs and health, and eventually help people better interpret any results they receive from genetic health tests, Turnwald said. As for the volunteers in this study, they were debriefed at the end and provided with their actual genetic results, Turnwald said.